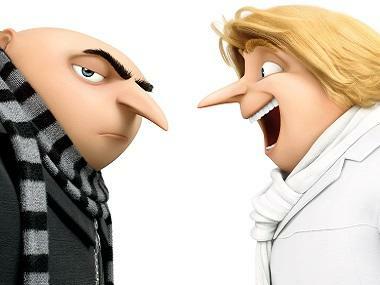 Gru’s family just got bigger, thanks to the discovery that he has a twin brother named Dru. 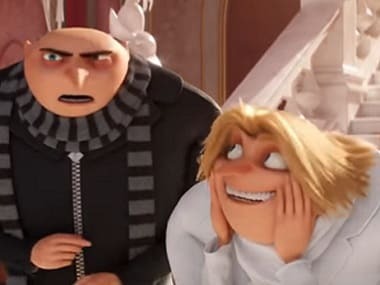 Set to Dr. Dre, Eminem and X-Zibit's 'Whats the Difference,' Gru (Steve Carell) is tempted to return to his old villainous ways and do one last heist with his long-haired, super rich twin, Dru (also voiced by Carell). A still from the trailer. Image via Youtube. The previous trailer for Despicable Me 3 introduced audiences to new baddy Balthazar Bratt, voiced by South Park's Trey Parker. The moonwalking and mulleted arch nemesis was a former child star who’s grown up to become obsessed with the character he played during the Reagan years. The trailer starts with the butler saying, "I really must have a word with you on behalf of your twin brother Dru." Gru, who is shocked, replies: "Twin brother?!" 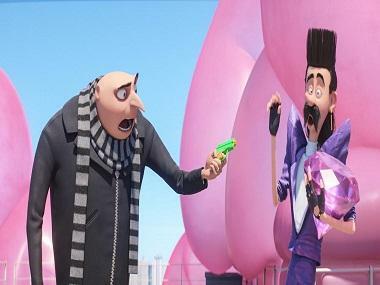 The first Despicable Me movie was released in 2010 followed by 2013's Despicable Me 2. Despicable Me spin-off Minions was released in 2015. Also voicing the characters in Despicable Me 3 are Miranda Cosgrove (Margo), Dana Gaier (Edith), Nev Scharrel(Agnes), Russell Brand (Dr. Nefario), Andy Nyman (Clive), Pierre Coffin (Kevin the Minion/ Bob the Minion/ Stuart the Minion/ additional Minions) and Michael Beattie (The Scar-Faced Man).